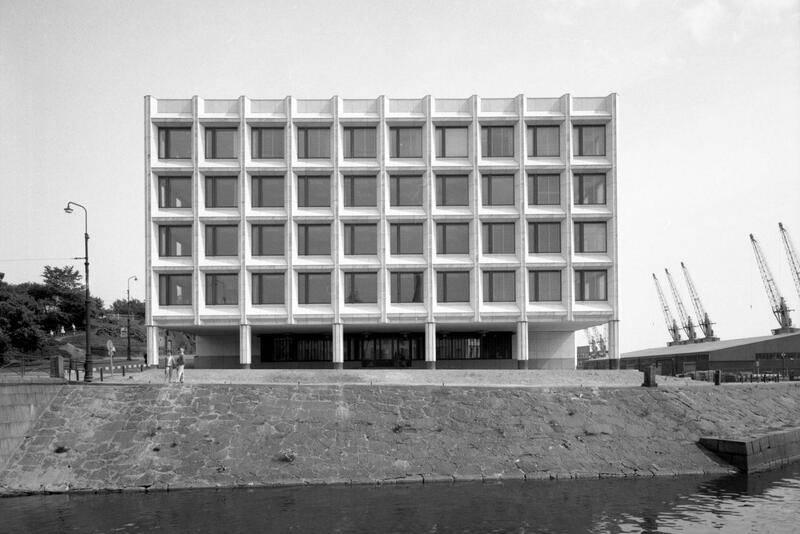 The Enso-Gutzeit Headquarters building was completed in the centre of Helsinki, in a prominent place in the Southern Harbour, in 1962. Now Stora Enso’s Headquarters, the building is one of Aalto’s most controversial works. Aalto wanted to design a new head-office building to be part of Helsinki’s shoreline silhouette. The white Carrara marble chosen as the surface material links the building with the row of white facades on the North Esplanade. The building has six floors above ground level. The receding top floor creates room for a roof terrace. The building’s main entrance is through a portico. The furnishings were carefully designed, right down to the smallest detail. Many of the pieces of furniture and light fittings were designed specifically for the building. Enso-Gutzeit Co. Headquarters is located in the city centre of Helsinki on Kanavaranta 1. The building is only viewable from the outside.